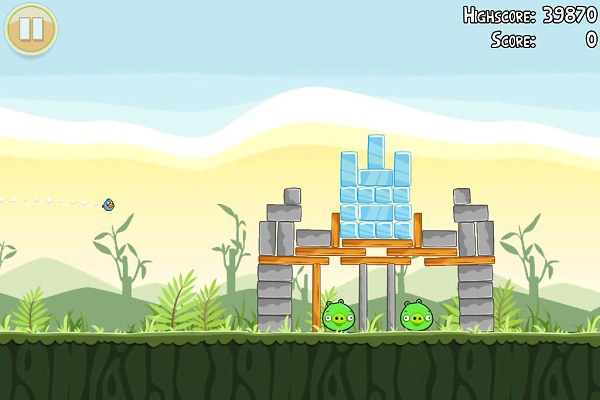 Angry Birds had been one of the first “blockbuster” games that have their HD versions for iPad. The gaming interface is the same as on the iPhone, but the experience is quite different. The larger graphics are much nicer, plus aiming and bombing pigs is that much easier. There are some drawbacks, I admit. I think the zoom levels are inadequately designed. For instance, only the most zoomed out state gives you a bird’s eye view of the map. And another more generic thing about playing on the iPad – the things is seriously heavy. Holding it single-handedly is sure to get you tired in no time. I think an iPad stand is a seriously compulsory accessory – especially for gaming. Ah, and one more thing – why should we pay the full price for both the iPhone and the iPad version of one and the same game? I really think app developers look into that and offer upgrade discounts for users that have already supported them on the closely linked iPhone platform.